The technique can also be used to boost the efficiency of known superconducting materials, suggesting a new way to advance the commercial viability of superconductors, said Paul C.W. Chu, chief scientist at the Texas Center for Superconductivity at UH (TcSUH) and corresponding author of a paper describing the work, published Oct. 31 in the Proceedings of the National Academy of Sciences. 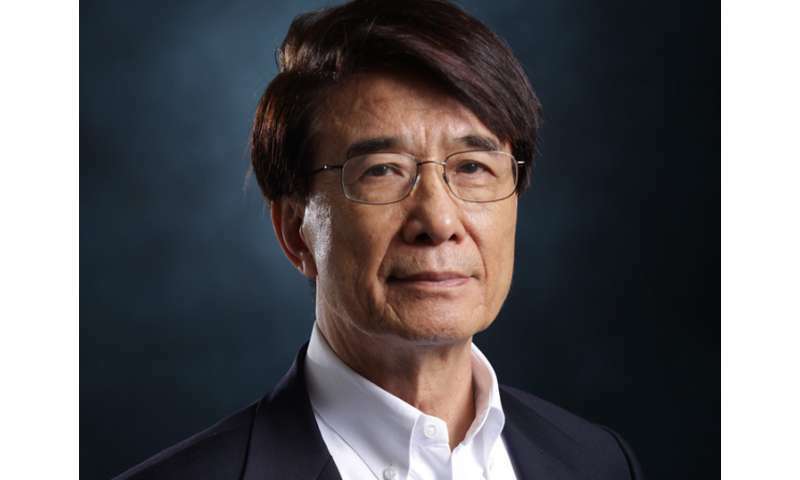 "Superconductivity is used in many things, of which MRI (magnetic resonance imaging) is perhaps the best known," said Chu, the physicist who holds the TLL Temple Chair of Science at UH. But the technology used in health care, utilities and other fields remains expensive, in part because it requires expensive cooling, which has limited widespread adoption, he said. The research, demonstrating a new method to take advantage of assembled interfaces to induce superconductivity in the non-superconducting compound calcium iron arsenide, offers a new approach to finding superconductors that work at higher temperatures. Superconducting materials conduct electric current without resistance, while traditional transmission materials lose as much as 10 percent of energy between the generating source and the end user. That means superconductors could allow utility companies to provide more electricity without increasing the amount of fuel used to generate electricity. "One way that has long been proposed to achieve enhanced Tcs (critical temperature, or the temperature at which a material becomes superconducting) is to take advantage of artificially or naturally assembled interfaces," the researchers wrote. "The present work clearly demonstrates that high Tc superconductivity in the well-known non-superconducting compound CaFe2As2 (calcium iron arsenide) can be induced by antiferromagnetic/metallic layer stacking and provides the most direct evidence to date for the interface-enhanced Tc in this compound." Chu's coauthors on the paper include lead author Kui Zhao, a recent UH graduate now at Advanced MicroFabrication Equipment Inc. in Shanghai; Liangzi Deng, Shu-Yuan Huyan and Yu-Yi Xue, both affiliated with the UH Department of Physics and TcSUH, and Bing Lv, a material physicist who recently moved to the University of Texas-Dallas. The concept that superconductivity could be induced or enhanced at the point where two different materials come together - the interface - was first proposed in the 1970s but had never been conclusively demonstrated, Chu said. Some previous experiments showing enhanced superconducting critical temperature could not exclude other effects due to stress or chemical doping, which prevented verification, he said. To validate the concept, researchers working in ambient pressure exposed the undoped calcium iron arsenide compound to heat - 350 degrees Centigrade, considered relatively low temperature for this procedure - in a process known as annealing. The compound formed two distinct phases, with one phase increasingly converted to the other the longer the sample was annealed. Chu said neither of the two phases was superconducting, but researchers were able to detect superconductivity at the point when the two phases coexist. Although the superconducting critical temperature of the sample produced through the process was still relatively low, Chu said the method used to prove the concept offers a new direction in the search for more efficient, less expensive superconducting materials. Does anyone else find it disturbing that such important work is done by scientists from mainland China who come here, take advantage of our grants, government money etc then go immediately back to China and start commercializing the tech to then gain an advantage over the US? Why aren't we giving these opportunities to US citizens instead? China has plenty of resources, and whatever technological lead we have are being wasted via programs like this. I bet over 75% of the people at the Texas Superconducting Center are foreign nationals. Why? And don't come with the "US students aren't smart enough" because our country has developed almost every single major technology of the past 150 years. This is a science forum, so we better just discuss science here. there are so many other places to express your political opinions. Scientists are the most generous species and loath the people who enjoy advertizing their small heart. When one makes claim like "our country has developed almost every single major technology of the past 150 years", one should be aware of the contributions of britons, germans, french, italian, dutch.... the most important two theories ever in science-- quantum mechanics and relativity theory, for example, have little or nothing to do with americans. The technologies related to car, train, rockets, wireless communicaiton, even electronic computers...have little or nothing to do with Americans. America became the powerhouse of scienc and technology only after second world war, exactly because Americans at that time were the most generous, compassionate and far-sighted people on the earth, with the best minds having rushed to the land. Nice work guys. Being Chinese is OK. This is America. Nope, because if there were any americans smart enough to do this kind of work they'd apply for the job. Be glad that someone is doing it (and eventually making it available as tech for you to buy). If this was left to Americans* then we'd all banging rocks together to make fire. *Note that all the people you term Americans are immigrants of 'foreign' descent. The contribution of _native_ Americans to science is pretty negligible. And don't come with the "US students aren't smart enough"
Ya know. I've spent 2 years in the american education system (which was equivalent to 1 year back home). And I can say with some definity: American students aren't smart enough. Even with the easy education in the US the 'white' americans were nowhere to be found in the top 5-10% of classes (all asiatics).